Meet Colours Photographic, The UK’s No 1 & most successful Fife photographers based in Dunfermline available to take photographs at weddings in Edinburgh Fife and surrounding areas. To discover a range of new & exclusive offers on wedding photography to all inclusive deals on photo booth hire packages everyone’s talking about contact our city centre photo store today. Welcome to the official website about acclaimed UK based wedding photographers Colours Photographic the most celebrated professional photographers in the area of Fife a historic county in Scotland, Highly regarded by many as one of the UK’s most prolific contemporary fine art wedding photographers of the 21st century at the forefront of capturing beautiful images at real weddings unobtrusively for brides and grooms getting hitched almost anywhere in Central Scotland. If you’re a fun loving couple, engaged to be married, looking to find stylish wedding photography for less on your big day with one of the Scottish wedding industry’s most prestigious photography brands and certified full-time photographers, successfully serving customers since 1990, who’ll perfectly capture the wedding pictures of your dreams, in a natural, relaxed and unobtrusive manner, just the way you imagined – with a comprehensive range of affordable all-inclusive photography package deals and special offers available at the best value for money – then look no further, the search for the perfect fit for your wedding photos ends here. Whether you’re looking to find a cost-effective photography solution for a family wedding event or party anywhere nearby to you within the region, Colours Photographic offer inexpensive customised photo solutions to fit your needs that are perfect for any occasion. Indisputably acknowledged as the UK’s leading wedding and portrait photographers studio in the parish for over 30 years. Coordinating photographic functions, operations and services from our dedicated photography studio and photo store conveniently located and regionally headquartered within the Town Centre of Dunfermline in the county of Fife. Colours Photographic are proud to be appointed Scotland’s longest-established wedding & portrait photography business found in the area of West Fife who capture and photograph weddings, events and family portraits, supplying a unique blend of market-leading photographic services and products. We’re creative, fun and affordable photographers with distinctive attributes who can help you find exactly what you are looking for including family wedding photography plus event photo booth hire and studio portrait photography, providing family photo studio shoots & childrens portraiture, pet photographs, passport visa and driving licence photo ID, bridal pictures, pre wedding love shoots (engagement photography) along with newborn and baby photography sessions to family’s throughout the local community. Whether it’s trying to find the best photo packages & prices available on-line or looking to compare what it costs to hire a photographer near me to take photos at weddings and events or searching for cheap photo booth hire deals & bundles in your area for a party during 2019, perhaps your seeking an events photographer to provide instant photo prints at a social event or are thinking of having family photos captured at a photo shoot by a portrait photographer in a state-of-the-art portrait photography studio, you can find it all at Colours Photographic. We’ll put you in the picture as expert professional photographers capturing unforgettable occasions at incredibly affordable prices with loads of amazing deals & offers available in-store and on-line now. 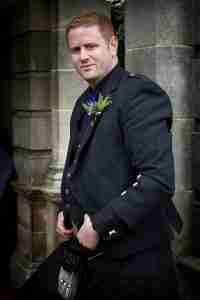 Getting Married and Need to Hire a Top Photographer in Fife? Are you about to Tie the Knot and looking to discover Scotland’s most talked about low cost wedding photography package deals and offers available with free gifts from locally recommended photographers in Fife for hire near you in your area? Then read on the nearby local Scottish council area along with the surrounding regions provide some of the most stunning destinations and beautiful backdrops to choose from when planning for your wedding day photo shoot. Universally recognised as one of the leading wedding & portrait photography purveyors in the ‘Kingdom of Fife’ for fun storytelling images, shooting weddings in a distinctively signature style with a contemporary approach. Colours Photographic frequently travel to nearby places working as professional wedding photographers to photograph every aspect of real weddings in Mid Scotland, with our unrivalled experience, technical expertise and wedding industry knowledge we’ll guide you through your big day whether that be in a rustic barn, a fairytale castle, heavenly church, hotel or registry office, covering wedding photography assignments at locations throughout the whole of Fife in the top 5 most popular wedding destinations of Dunfermline, Kirkcaldy, Glenrothes, Kinross and St.Andrews, capturing the nuptials of fun couples getting married at wedding ceremonies across the county. Colours Photographic provide a comprehensive range of inexpensive photographic products and services as the preferred wedding related suppliers specialising in professional photography at weddings and events in many of the towns fantastic venues within Fife and the neighbouring area of Edinburgh. Book your Scottish wedding photographer at refreshingly affordable prices today and enjoy great savings on reasonably priced wedding package deals created just for you. Colours Photographic who are we? Fife’s photo imaging Titans well-known for providing a wide range of wedding & portrait photography services around Fife as one of the UK’s most popular photo studios of the last 3 decades. Highly regarded as the Scottish photographic industry’s longest established qualified full-time photographers available within the field of portrait and wedding photography in Dunfermline, Unquestionably respected as genuine professional photographers providing photographic services at reasonable prices for over 30 years to tens of thousands of customers from Fife’s most successful chain of photography studios, with an impeccable list of industry credentials who you can entrust to document the details of the most memorable day of your life. Photography is our occupation, profession and trade, please do not confuse us with the amateur hobbyist or fauxtographer(fake photographer) in possession of a digital camera, who you may have come across on social media, claiming to be pro photographers operating from an improper location within a place of residence on a housing estate at a residential dwelling, you can’t easily find or visit, providing poor customer service and a lack of facilities, with little to no expertise, photographic training and no historical performance of a trading track record within the photography industry. Colours Photographic are vetted photographers who operate a legitimate wedding and portrait photography business as verified professional photographers trading from a commercial shop premises within a well placed retail storefront on Dunfermline high street as notable wedding photographers in Fife servicing the whole county. Colours Photographic are a widely recognised retailer ranked as the No.1 go-to photo brand responsible for delivering fairly priced family wedding photography at wedding ceremonies in Fife’s cities and towns to modern brides, photographing weddings supplying distinctive imagery as hugely popular photographers throughout the last three decades. Over the years we’re proud to have been voted one of Fife’s best-loved wedding photographers of the year by fun couples getting married around Scotland. Why go anywhere else? Start planning your wedding day with the UK’s No.1 photography company in Fife Colours Photographic by continuing to browse our website or visiting us at our retail photo store for exclusive in-store only deals and expert advice from our friendly team. Colours Photographic would recommend to all potential brides and grooms searching for genuine wedding photography services to go and meet in person with a bona fide local photographer at their photo studio and store. You can learn a lot about an authentic photographers commitment and competence in the way they conduct and run their business facilities, by visiting their photography establishment. Arranging to visit Colours Photographic the UK’s No.1 & most affordable wedding photographers studio in Fife, will give you a full insight into our wide range of photographic services, industry knowledge and products as you begin your wedding journey. Here at the retail showroom of Colours Photographic from our high street location, just up from the Glen Gates at Pittencrief Park on Chalmers St, you’ll have the opportunity to discuss your ideas and thoughts for your big day over a coffee and a chat. We have on-site convenient car parking nearby to our bridal photography store within the Heritage Quarter at the Glen Bridge Car Park, Dunfermline with over a 170 spaces including disabled access. You will find our photo studio situated less than a minute’s walk away in the historic heart of Dunfermline City Centre, stationed within West Fife’s vibrant wedding services sector on Chalmers Street home to a number of the major wedding industry professionals and retailers in the area. Here at the commercial business premises of Colours Photographic we are surrounded by locally trusted wedding suppliers who can help with every aspect of planning for your wedding day, some of our neighbours include Scotland’s most experienced traditional kiltmakers Robert Nicol kilt shop and hire, Fife’s leading mother of the bride clothing store & special occasion wear Belles. Colours Photographic are also proud to be affiliated with the areas most popular bridal wear specialists Kudos Bridal boutique located in Dunfermline’s East Port, the recommended first point of call for every Scottish bride-to-be looking for a wedding gown in Fife. Colours Photographic are widely regarded locally as the most prominent photographers providing a comprehensive range of affordable photography related experiences throughout the neighbourhood as the best rated photo studio in the area for portrait and wedding photography. 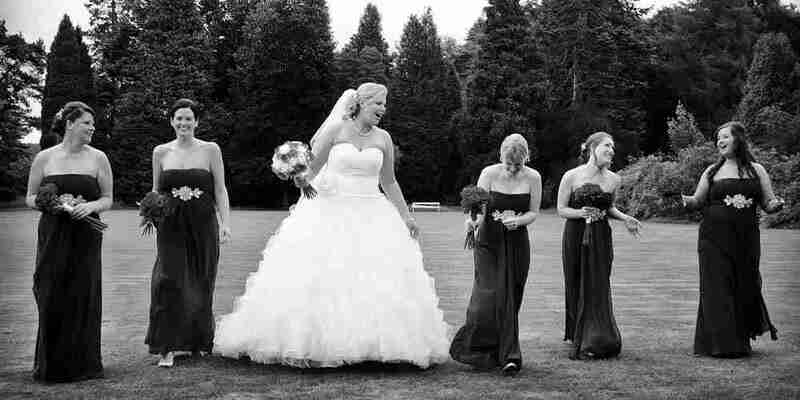 With a reputation as the nations finest documentary wedding photographers in the burgh Colours Photographic are well established for the reliable services provided as paramount experts in the field of contemporary wedding and event photography. Offering a personalised photography service supplied by authentic photographers with a distinguished photographic pedigree and provenance in all aspects of the photography profession with an illustrious career as firmly established photographers within Scotland’s photographic trade spanning over 30 years. Discover the ultimate guide to buying wedding photography in Fife curated under our wedding classification, the perfect starting point for couples looking at pricing photography for a wedding in Scotland, with all you need to know about how we photograph real weddings, including top tips and hints on preparing for your bridal photo shoot and photography of your big day with one of the UK’s most trusted wedding photography brands. Included in our guide is an overview of commonly asked questions, with information on average costs and buying advice along with realistic wedding photography fees for couples looking to book affordable all-inclusive wedding package deals. As influential documentary wedding photojournalists celebrating many years of providing fun, fresh contemporary photography within the Scottish wedding industry, Colours Photographic have acquired the indepth knowledge and expertise as skilled photographers in the capture of real weddings that our real brides and grooms deserve and have come to expect us to chronicle on such a happy occasion. Over the past several decades as highly qualified professional photographers specialising in fine art wedding photojournalism with a proven wealth of extensive photography experience, we have produced various styles of modern wedding photography with a photojournalistic approach from posed to unposed and seen many photography techniques come and go. 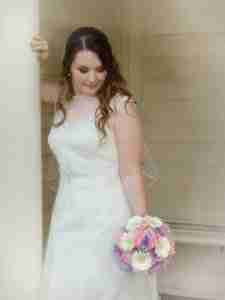 We are dedicated fully trained skilled practitioners with a passion in capturing authentic weddings in innovative ways. We can be natural, creative, fun, candid and unobtrusive or as unique, relaxed and informal as you would like as the contemporary wedding photographers to capture the happiest day of your life, offering a truly stunning mix of alternative and original documentary photography at real weddings. As legendary wedding photographers shooting weddings in Mid Scotland and Fife Colours Photographic are well postioned to work throughout the local provinces covering the whole of Fife including Clacks, Edinburgh and further afield. So if you are planning a wedding celebration in the near future, our many years of unrivalled experience and reliability will make Colours Photographic a trustworthy addition to commission for your big day. Get in touch now with Fife’s best-loved wedding photography gurus for expert assistance and come visit us at our photographic studio & retail showroom to book your wedding shooter now with confidence, we’ve got everything you’ll need to capture your big day and party in style, our goal is to make your occasion one to remember, with affordable all-inclusive wedding packages at unbeatable prices, you’ll love. We create innovative wedding photography experiences for weddings with naturally beautiful bridal images expertly crafted by esteemed multi award winning photographers which have, for several decades, defined our reputaion as the seminal leaders of our generation for stylish and creative photography services in the region at inexpensive prices. 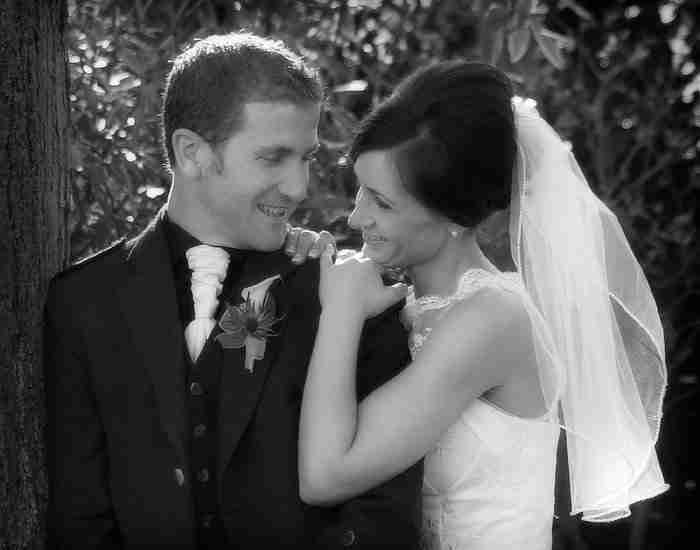 Unlike any other our incredible photo package deals are fully inclusive both for formal and informal weddings. Operating from the Fife branch of our flagship photo studios busy showroom in the heart of the City Centre, Colours Photographic are collectively regarded by their peers as a prominent industry-leading authority on photographing real weddings with over 30 years of experience and knowledge as bona fide professional photographers in Fife. Colours Photographic are an in demand talented wedding photo specialist, recognised for an extensive body of work and widely sought after as a gifted wedding storyteller, both internationally and locally, as a hugely influential figure in documentary wedding photography. Colours Photographic are not only considered as Fife’s founding pioneers associated with capturing real weddings of fun couples getting married but are also recognised as the leaders who have defined the genre. Established and trusted suppliers of professional photography services with peerless industry credentials and a creatively dynamic approach to the profession of a real wedding photographer. If you’re an engaged fun couple planning to get hitched at a civil or religious marriage ceremony trying to find the best candid wedding photographer for a wedding ceremony located anywhere in the heart of Fife, we’d love to hear from you to arrange a visit to our boutique bridal photography outlet located within easy walking distance of Pittencrief Park. Here at our wedding photo store you can view a range of luxury wedding photograph albums and discuss your wedding photography requirements with approved industry experts boasting a highly respected résumé and proven track record in natural & timeless photography experiences through three decades. We realise one of the most important things to consider when choosing your confirmed wedding photographer is finding someone you can feel relaxed with that has a friendly approach. As the photographer to chronicle your wedding story, we therefore like to get to know you and would encourage you to visit us at our photography store and studios showroom to see if we are going to be the right fit for you in order to ensure a relaxed, comfortable and enjoyable wedding photo shoot experience. You’ll be swept away by the greatest originators of real wedding photography, real wedding photographers shooting real weddings, offering you real deals on all-inclusive photo packages at real prices. Every bride-to-be will fall head over heels in love with our best priced wedding photography plus photo booth bundle. 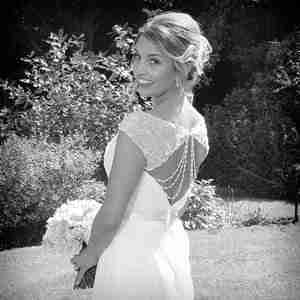 All real brides, won’t want to miss our amazing offers, get in touch now, for our best ever fully guaranteed wedding day deal, fixed at today’s irrestible prices, no matter how far in advance you arrange your marriage, we offer a choice of great value flexible coverage options to suit you. Fall in love with our unique combination of wedding photo packages and get a divine deal on our affordable matrimony photography experiences, start planning your real wedding day photo shoot here. One wedding photo package that simplifies your big day is our reimagined all-inclusive best selling ‘Visionary of Love’ wedding package deal, which just got even more affordable than ever before, now available with free photo booth hire. Throughout 2019 / 2020 we’ve lowered the prices across our impressive range of wedding packages and products, so you can now book the best wedding photographer in the Fife area offering unlimited fun in a photo booth at an irrestible price you cannot afford to miss. Our most popular service can include a full day of photography coverage, wedding proof look-book, wedding photo booth hire and custom designed photograph album along with a fine art heirloom canvas photograph of your choice. A 25% reservation fee of your package price secures your date, with the outstanding balance of 75% payable at our studio 21 days before your wedding day. 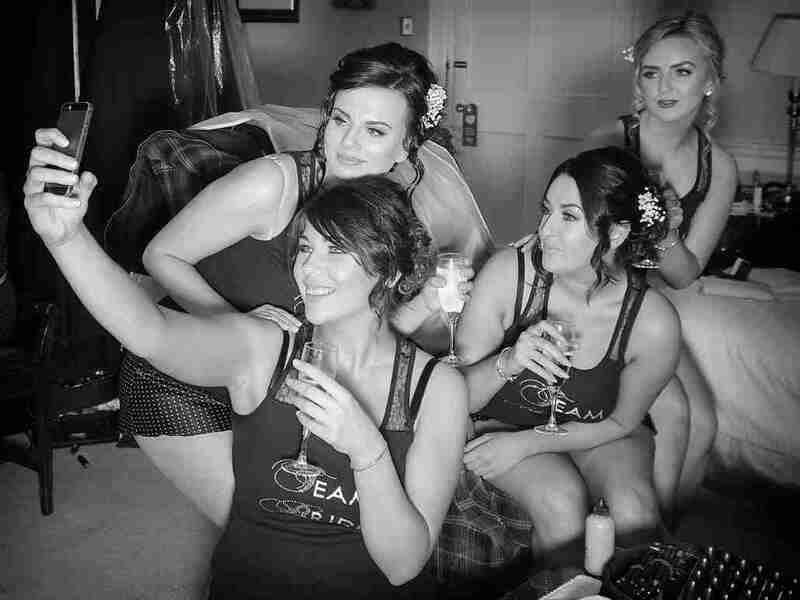 Our comprehensive photo shoot options can start with candid bridal portraits and a reportage style of coverage for photos during the preparation of bridal attire, onto the church for the formal photography of your wedding ceremony, wedding reception venue for bride, groom, family wedding portraits through to speeches and first dance, followed by the party photo booth photography until late into the evening. You can explore a broad range of coverage options with a choice of inexpensive price plans available for bridal photography experiences and find the one that best fits you, on our wedding packages page. Colours Photographic are long established reputable local photographers in Fife highly recommended as the major providers in the sector of wedding and studio portrait photo booth photography, focused on outstanding market leading photographic solutions for wedding & event photography experiences, being specialist photographers in the provision of photo shoots for all occasions with a range of packages at competitive prices. For details on all aspects of our exceptional photography services offered at weddings, events and family gatherings and how we can help with the core photography products we provide, look around our photo website for further information or visit, click or call our wedding and portrait studio, to learn more. Are you planning a wedding event or party and looking to compare the cheapest prices available online for photo booth hire in Fife at a photo store near you for entertainment at your wedding reception or events evening party? 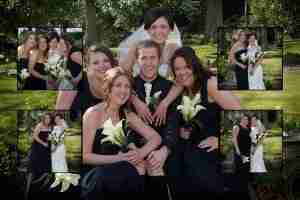 Do you want the best deal for fun photo booths at weddings in Fife and the wider area? Today we’ve got great news for you! Colours Photographic are giving away an amazing party booth hire experience for weddings in Scotland everyday for free, when you purchase wedding photography from Fife’s best known wedding photographers. You won’t find a more incredible offer than today’s fabulous photo booth hire experience anywhere else locally with any other competitor, guaranteed. The attraction of Fife’s biggest and best voted wedding photo booth hire where the family fun and laughter never stops, will liven up the party atmosphere, keeping your wedding guests entertained on your big day and unforgettable evening reception by offering hours of enjoyment with instant free photos for everyone. It comes complete with a large selection of fun props including photo booth masks, hats, wigs and the most unlimited amusement in a wedding photo booth you’ll ever experience on the most significant day of your life and will even have shy and retiring grandma coming back time and time again for another photobomb! Instant photo booth pictures can also be placed in your guest book, with a message to the bride and groom from all the family and guests. Colours Photographic are widely considered by many as one of the most popular contemporary wedding & portrait studios based in the Fife area, making award winning photography. From our one stop photography shop at our city centre location, we take pride as the major professional photographers in Fife offering an unrivalled spectrum of photographic services and products all under one roof from our retail stores premises. This enables us as authentic photographers to undertake, manufacture, produce and supply a diverse range of specialist photography from our centre of operations here at our photographic showrooms headquarters, with professional expert advice in all areas of the business of photography, from showcasing the greatest wedding photography imaginable, together with fabulous photo booth hire, to amazing event photos with instant photo printing to offering studio portrait photoshoot sessions and more. You will find we are experienced, approved and well-established locally as one of the most amiable multi talented photographers, engaged within the wedding and event industry today, with a stellar reputation garnered on delivering a range of photo related skill sets and versatile options to capture your social occasion as perfectly as possible. Colours Photographic are not just another ordinary photographer. We innovate. Our pioneering combination of contemporary wedding photography products & services perfectly complementing our awesome photo booth hire is legendary amongst fun couples on their big day. Don’t leave a once-in-a-lifetime event to chance. Book an unforgettable experience with the most reliable and sought after photographers found in the area and be amazed at our cracking price deals. If you’re thinking of celebrating your wedding day anywhere locally at venues in the district whether it’s weddings in Cairneyhill, Crossford, Garvock or Crombie Point and looking for guidance on hiring a creative, contemporary wedding photographer near to you, highly recommended for modern & romantic wedding photography in the county at amazing value for money, Colours Photographic may not be one of the cheapest Fife wedding photographers who document weddings in the neighbourhood, but are generally known as Fife’s best-loved wedding photographers for budget-friendly wedding photographs of the highest quality at a reasonable price, offering affordable photography with an unbeatable choice of offers & deals at terrific value with our all-inclusive low-cost premium wedding photography packages. 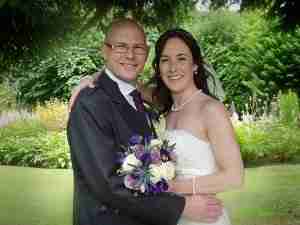 Masters of photography at the forefront of photographing modern weddings professionally. Widely regarded as one of the most inimitable wedding photographers for visually awe-inspiring images of real brides and grooms, Colours Photographic are professional wedding photography experts focused on creatively capturing those organic special moments in a romantically natural and relaxed style with a candid fine art sensibility. To view our featured weddings, extensive gallery and unique portfolio of work along with exclusive wedding photograph albums in a variety of styles and colours, you are more than welcome to arrange to visit our established photography practice and meet your real wedding photographers for a marriage made in photography. 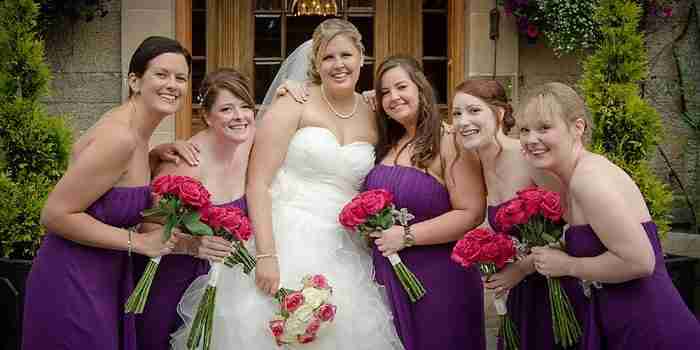 Colours Photographic are one of the UK’s most well-loved and highly skilled creative photographers documenting real weddings throughout Fife and the wider area. Renowned for always being ahead of the curve with a distinctively iconic style of relaxed and contemporary wedding photojournalism with a blend of breathtaking fine art wedding photography. Taking fashion inspiration from trends in New York, Paris and Milan, Colours Photographic are finely tuned in to the latest bridal trends and styles, while focused on offering a unique style of true to life chic sophistication and modern documentary wedding photography which remains surprisingly classic and constantly on trend with fashion forward brides. Officially recognised as genuine professional photographers in Fife with a long established history, Colours Photographic are arguably the foremost authority on shooting black tie functions, beautiful weddings and amazing events, with many years of extensive experience as wedding suppliers in the area providing a first-class wedding service. With a proven track record as reputable practising photographers, we shoot social occasions of all sizes at major venues in the region covering destinations throughout the locally surrounding villages, towns and cities. 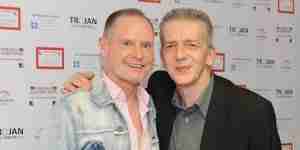 To get in the picture at your forthcoming celebration let’s get together and talk. You can call us on 01383 – 740400 or contact us below and also visit us at Scotland’s longest established wedding and portrait photography studio serving the Fife area. Whether it’s those candidly documented cherished moments of your fairytale bridal story as it organically unfolds on a perfect day in heavenly surroundings at stylish venues, from rustic barns to dreamy vintage inspired castles or the portrayal of real life brides at authentic weddings in luxury country house hotels, Colours Photographic are the ‘come to’ reliable photographers for a factual wedding day photo experience you can have chronicled with confidence. 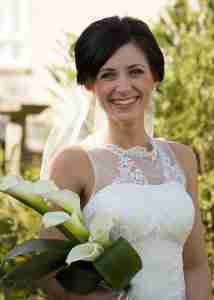 Offering the best rated all-inclusive photo packages for weddings to suit every brides specified budget and needs. A great marriage starts with documentary wedding photography creatively captured by Colours Photographic, if you like our style and approach and wish to discover more on how we can be your perfect partner, get in touch and let’s talk about your forthcoming wedding. We’ll be waiting to naturally capture timeless and emotive unforgettable moments as they happen unobtrusively. Thank you so very much for making our day so special – photos are amazing! Everyone commented on how good you were with everyone on the day. We really love our wedding photos – thank you. You made me feel like a supermodel for a day – Everyone loves our wedding album. Colours Photographic create contemporary imagery with only the finest wedding albums and photographs, commemorating the precious memories and soft romanticism of your blissful wedding journey. Once your dress is packed away and the flowers have wilted, the meal has been consumed and the reception and honeymoon are over, our quality assured professional wedding photography will be the only lasting memory of your magical wedding day moments that you will come to cherish. Through our fusion of artistry, experience and vision, let Colours Photographic capture your real wedding story with photographs today, that will become priceless tomorrow. If you’re a fun loving easy going couple planning to get married and are seeking to hire the very best wedding providers for a picture perfect marriage, then we would love to hear from you. To book your big day with one of the UK’s best-loved wedding photographers you can call our experienced and friendly wedding co-ordinators by telephone on 01383 – 740400 to learn more about our exclusive offers and guaranteed affordability, or you can contact us above to arrange an appointment to visit our well established photographic studio and shop, where you can meet authentic wedding photographers with experience you can trust to capture your special day naturally. Well known, liked and locally trusted as one of the UK’s premier providers of portrait and wedding photography experiences with a long prestigious heritage as contemporary wedding photographers in Fife. 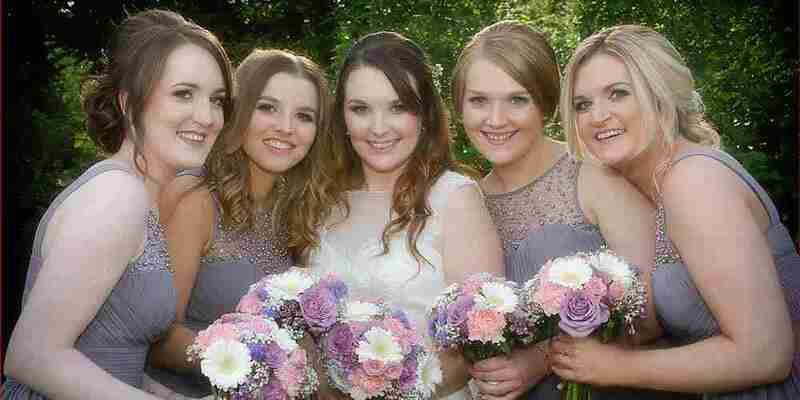 Colours Photographic have a long well established history steeped in family weddings & portraits as highly accomplished photo professionals providing photography services in the local area. Running several phenomenally successful multi-award-winning wedding and portrait studios throughout the towns and city centres of Fife in the high streets of Dunfermline, Kirkcaldy and Cowdenbeath since the 1990s. Colours Photographic are proud to be recognised as the leading professional photographers studio for wedding & portrait photography, offering a wide range of exclusive benefits and savings for people being married. To hire the most celebrated photographers in Fife accredited for excellence in real weddings, studio portraits, photo booths and more, you’ll find we’re the perfect match to photograph any soon to be wed couples marriage, large or small, from formal to informal, focusing on inspirational photography at inexpensive prices with a guaranteed good deal for you, whatever the family occasion, offering expert advice and promoting good practice with great customer support. You can be rest assured you are in good hands with our fully trained certified photo experts for all your photography needs. Need help! Looking to purchase affordable photo booth hire in the surrounding areas for a wedding event or party? Compare and find the very best price deals and unique offers available locally near you in your area on photo booth hire packages in Scotland’s towns and cities right here. You can grab a great bargain and snap up a fabulous fun filled photo booth experience on your big day with photo booth champions Colours Photographic. We’re giving away a phenomenal all-inclusive wedding photo booth hire experience worth a mahoosive £600, when you get married anywhere in one of our featured Scottish wedding destinations, subject to remaining availability. To claim a free gift of photo booth hire and save big on your wedding day, book your wedding photography now with the Uk’s No.1 wedding photographers in Fife for photo booth hire and wedding photography bundles promptly, due to limited availabily of dates in 2019 – 2020. Don’t miss your chance to choose from our largest ever range of unbeatable deals and top offers on our wedding services, we cover the whole constituency of Central Scotland. This remarkable opportunity is available absolutely free on a first come, first served basis. Get in touch today to visit our photo store and studio to talk through your dream day with friendly trusted wedding photographers and let us shoot your forthcoming marriage. There’s an amazing instant photo booth photography experience and so much more for fun couples getting married with our latest exclusive offer. Grab the best deal ever, before it’s too late! Our wedding photo booth hire service is unlike any other, you”ll get a great deal with local wedding wizards from start to finish. 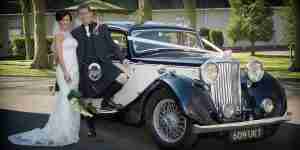 The ‘Kingdom of Fife’ is one of the greatest places for a wedding, if you are looking at getting married and taking your vows anywhere locally. As photographic trailblazers operating within the local wedding scene, the area is well known to us as wedding photographers for being one of the best regions for it’s picture perfect settings for relaxed wedding photography. With several decades of extensive experience as a veteran in photographing weddings, we are familiar with all the ins and outs of how a real wedding day works. To ensure your big day runs as smoothly as possible, we always recommend allowing ample time in your wedding timetable for those all important romantic bride and groom shots. 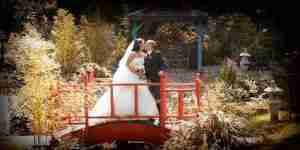 Listed below are just a few of our favoured wedding locations and venues around the area. With it’s rich history steeped in real weddings, we have the very well known and ever popular Dunfermline Abbey in Fife, always a favourite with Scotland’s former Kings and Queens and one on our list of preferred church wedding venues, of course you no longer have to be a Princess to get married there, but you will be entitled to feel like one. A special place for us is the local 6th century Culross abbey, once a sacred place for monks and pilgrims to visit from all over the world and one of the most beautiful abbeys in the area, lending itself to a more traditional style of natural wedding photography. The town of Culross is also known for its historic Palace, were you can also arrange to marry and has recently been used as a backdrop for the filming of Outlander, the hit television series, so if you are looking for an Outlander themed wedding, this is the village to visit for us to provide you with an experience beyond your wildest dreams. Certified as the leading contemporary wedding photography experts in the area, Colours Photographic have a broadbase of local knowledge and experience as well-established wedding photographers of the fantastic venues that the region has to offer for weddings and are familiar with some of the most stunning locations for shooting your wedding photographs. From the unique Fife parklands of Beveridge and Ravenscraig Park in Kirkcaldy to Pittencrief Park in historic Dunfermline, gifted to the city by it’s most famous son Andrew Carnegie, whom we also have a long association with (well sort of). One of our many highly acclaimed multi-award-winning portrait & wedding studios in Fife was once situated on Carnegie Drive and is also where our journey as a professional photographer started. We then move onto the picturesque backdrop of the famous (now three) iconic Forth Bridges in North and South Queensferry. The Forth Rail bridge, the Forth Road bridge and the new Queensferry Crossing make a beautiful backdrop for organic wedding photography in Fife and Edinburgh, an ideal setting for a couples romantic wedding portraits, extending to views across the River Forth, and always popular with local wedding photographers for couples getting married in the nearby venues of Queensferry Hotel, Orocco Pier, Carlowrie and Dundas Castle. Further along the coast is the unique medieval town of St Andrews, one of Europe’s top voted destinations for real weddings in Fife and of course the world’s home of golf, with a host of stunning venues and locations for photography in St Andrews, there are simply endless possibilties for a creative portrayal of your wedding day pictures. We also have some of the most remarkable fairytale Scottish castle venues for weddings in the district from Myers Castle located near Auchtermuchty to Balgonie Castle in Markinch and Fernie Castle just outside Cupar and of course Kilconquhar in Leven. Any number of these castles are a brides dream venue and picture perfect for all your wedding photograph requirements. Finally, for the ultimate in luxury and exclusivity on your big day, we have Fife’s finest country house hotels, some of the most popular and sought after being Balbirnie House in Markinch and Balgeddie House in Glenrothes and of course Rufflets near St Andrews and not forgetting the hidden gem that is Craigsanquhar in Cupar and Fife’s newly opened Balmule House, just a short journey from our photography studio. These venues are highly commended for their beautiful locations and acres of gardens as the ultimate backdrops for real wedding photography in Fife. 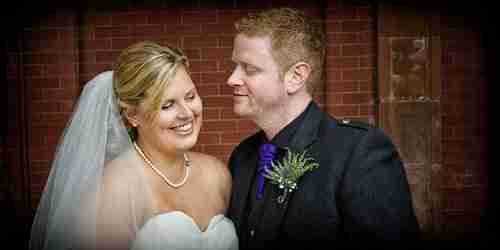 Are You Ready to Meet Real Wedding Photographers in Fife? Want to find out more, come and see why Colours Photographic are undeniably considered by many to be the UK’s number one wedding photographers the region of Fife has to offer? If you’re planning to get married anywhere locally and want the picture perfect marriage, then we would love to hear from you. To book your big day with the UK’s best-loved wedding photographers in Fife, get in touch with our highly experienced, friendly and knowledgeable photo solutions colleagues, feel free to contact us for a no-obligation, fee-free consultation at our wedding & portrait photo store to discuss your requirements today. If you would like to learn more about what we do and the common photography services we undertake or check availability of a date you can call us on 01383 – 740400. Alternatively, arrange to come and see us at our busy high street photo studio and showroom, where you can meet authentic photographers with experience you can trust to capture your day naturally, for more information on our keenly priced photography products & services. There are no pushy photo sales people and definitely no hard sell. We’re here to help and advise you and we’d love to hear from you. 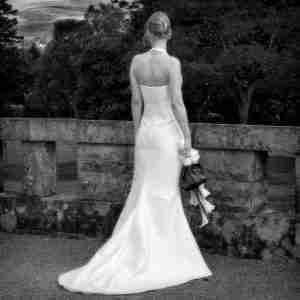 We have developed an enviable reputation as wedding services providers for delivering on quality, affordability and professionalism that exemplifies our friendly & flexible approach as Scottish wedding photographers in Fife. Colours Photographic are so much more than just another photographer, our innovative all-inclusive photography solutions are designed to cover all your event needs with the best ever picture perfect package price deals you won’t find anywhere else in the ‘Kingdom of Fife’, guaranteed.